Foodies who want to vacation in Croatia better prepare themselves for a true taste of the Mediterranean. 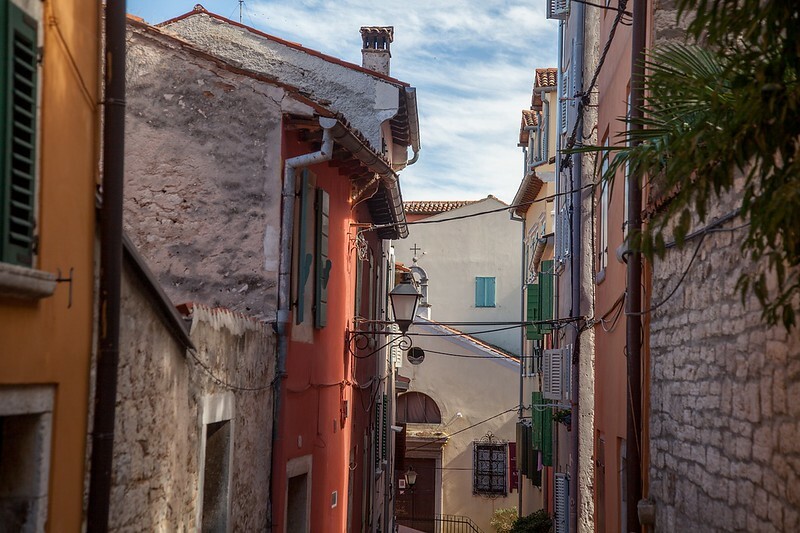 One of my favorite spots in this gorgeous country is a town located in the north part of Croatian coast – Rovinj. This place is special, and the number of tourists that it attracts confirms my claim. It has one of the most charming old towns I’ve ever been to, and the only thing I liked more than walking through its streets was eating in its restaurants. There are plenty of eateries ranging from fine dining, Michelin-star establishments to kebab and burger joints as well as seafood restaurants. Besides this, the town is packed with bars and cafes in case you’re looking for a drink. 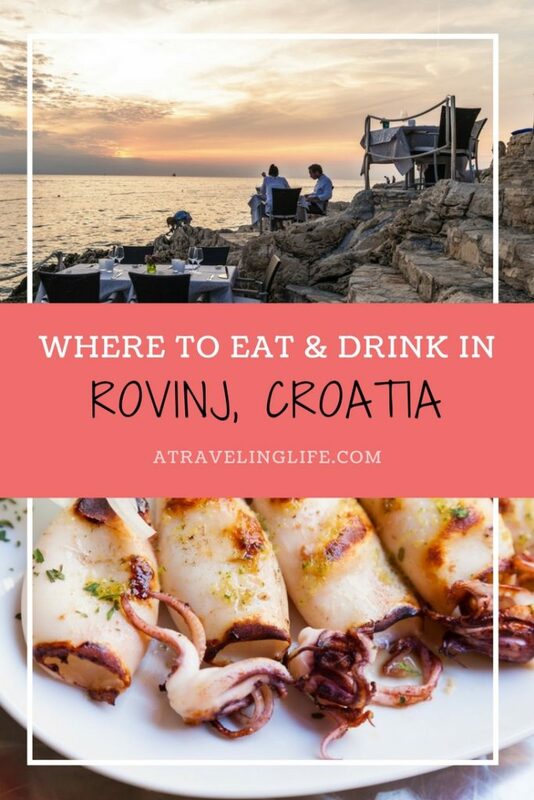 If you are planning to visit, I have put together a list of my favorite places to eat and drink in Rovinj. So now, make a batch of popcorn, sit back, and get to reading! I’m sure you’re going to love the things that you are about to find out. 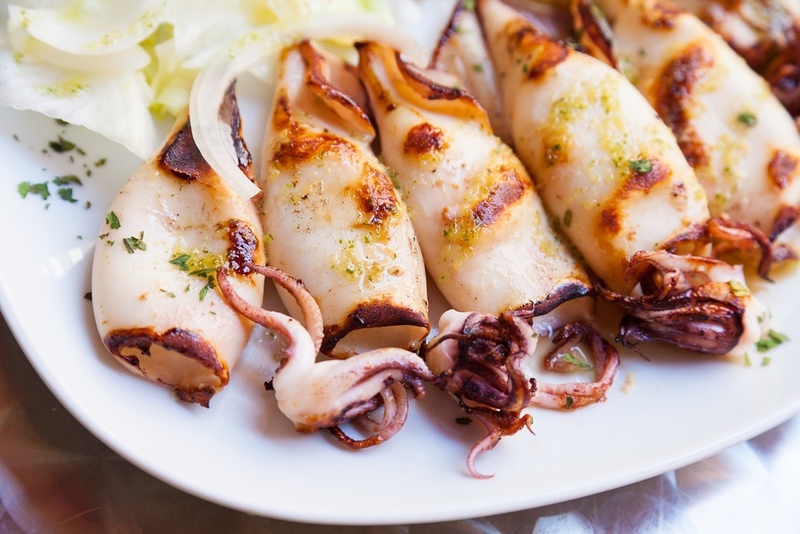 Hidden away in a quiet corner of Rovinj’s old town lies Monte, a contemporary, fine dining restaurant, where you’ll find everything from seafood to authentic Istrian (the region of Croatia that Rovinj is in) ingredients and flavors. The ambiance is somewhat mesmerizing; softly lit, simple, unpretentious design, tucked in between historic buildings. Romantics would appreciate such a spot. If you are a wine connoisseur, this is the kind of place you’re looking for Monte’s wine list is extraordinary, as it includes a large number of regional, local and foreign wines. However, if you do decide to dine here, be prepared to pay a hefty price, as it isn’t cheap! Don’t even think about leaving Croatia without trying some proper, artisanal, old-school Italian gelato! As Rovinj has a significant Italian population and a strong Italian cultural influence, gelato runs through its veins. The best place, or as some would say, the ONLY place to try real gelato in Rovinj is Caffe bar b 052. It is located on the main shopping street in the town called Carrera. Once you go in, you’ll see a variety of gelato flavors all there for you to indulge in. The gelato can be served in a cornet or a paper cup, according to your preference. If you aren’t in a hurry, there is plenty of room to sit in b 052 and enjoy every bite of this magical dessert. To be honest, I am all about views. Sometimes I would even sacrifice the quality of food for a restaurant with a nice view! Luckily, I there was no need for sacrifices with Puntulina as this spot has both. It’s situated on the edge of the old town, built into the cliffs overlooking the sea. 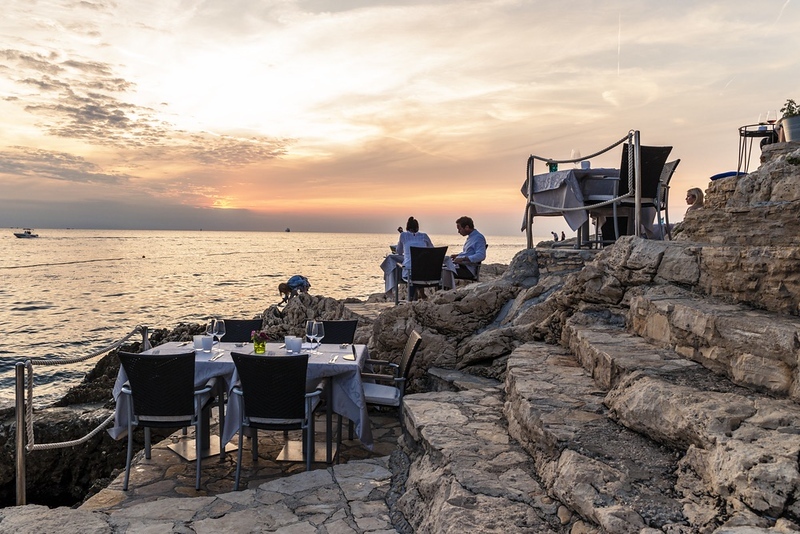 It is the ideal place to enjoy the sunset while enjoying some delicious food, and I guarantee that you won’t find a better spot for this in Rovinj. As far as the menu goes, Puntulina has a classic array of seafood dishes, pasta, grilled meats and a fantastic selection of wines. Again, this isn’t exactly a place for those traveling on a budget, but if you have a few extra pennies to spare, check out this restaurant, it’s worth it. Croatia is a long way from Cuba, but the Havana Rum & Cocktail Bar brings the warm, friendly and exciting summer spirit of the Pacific island to the Mediterranean. This is an open-air bar, often crowded during the high season. It is filled with palm trees and oil torches, which create a dimly lit atmosphere, perfect for unwinding after a day of fun in the sun. The bar is located right next to the sea, so the sound of waves makes the experience even more pleasant. As far as the drinks go, well, it is a cocktail bar, so you can find a pretty good offer for such beverages there. The prices of cocktails go up to 10 euros, and other, regular drinks are much cheaper. Hotel Adriatic is one of the most prestigious hotels on the Croatian coast, and it sits right in the middle of the main square in Rovinj’s old town. I’m not suggesting that you stay there, although I’m sure it would be very enjoyable, but I’m recommending the Adriatic’s Caffe Bar for a nice afternoon cup of Joe. Even when it’s scorching hot outside, you’ll be safe and cool under the parasol, resting in very comfortable seats. It is a perfect spot for people watching, reading the papers or having a proper shot of espresso. The marina is located only a few dozen feet from the hotel, so you’ll be able to see many boats sailing in and out of the port. Some places just leave you speechless – those small corners of the world where time seems to have stopped, and where one experiences only enjoyment and gratitude for its beauty. Mediterraneo Bar is one of those places as it is, in my opinion, one of the coolest bars I’ve ever visited. Located in the old town, the bar’s seats and tables are spread out across the rocks that face the sea. The sound of the waves crashing will leave you mesmerized, especially if you come here at sunset. As for the drinks, you can find pretty much anything you want there including wine, beer, cocktails, and coffees. Now that I’ve introduced you to my personal favorites, I feel the need to add that Rovinj has much more to offer. Do check out the places I recommend, but do not stop there. I’m sure you’ll discover some other incredible spots that I somehow missed. 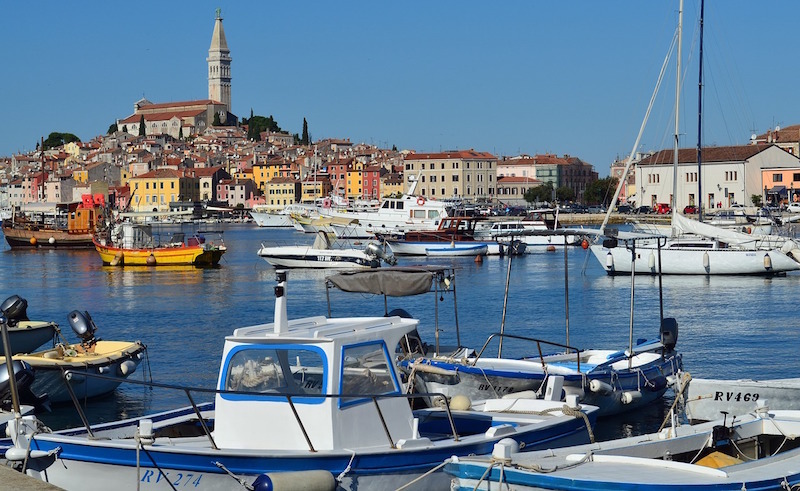 What do you think are the best places to eat and drink in Rovinj? 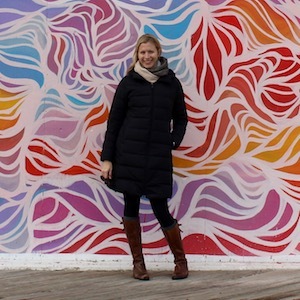 This is the sixth post in the “My Favorite Food Town” series. Check out the previous post on Bansko, Bulgaria.